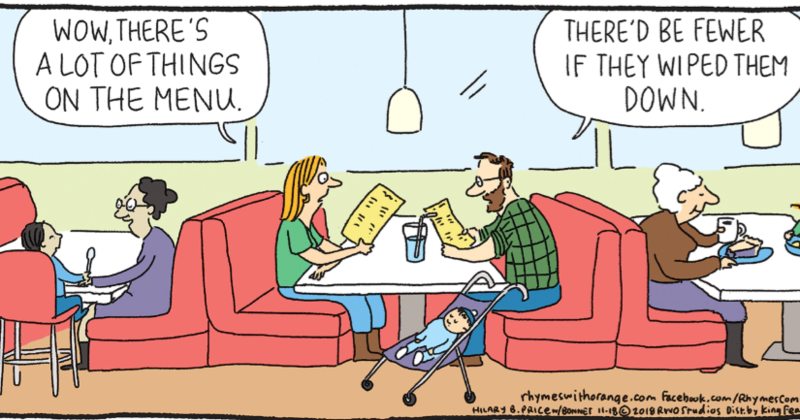 I was sitting at a restaurant this morning and showed this comic to my waiter (Hi, Rich!) and he laughed. I saw a quick writing lesson, though; one I’ve mentioned before: when to use less and when to use fewer. Use “fewer” when you’re counting. If they had used “stuff” instead of “things,” “less” would have been appropriate.